Sharon Bulova is in her third term as Chairman of the Fairfax County Board of Supervisors. 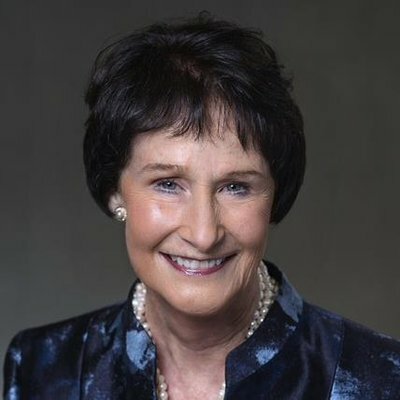 Ms. Bulova has had an impact on northern Virginia and the Commonwealth in countless ways, with a leading role in the founding of and growth of Virginia Railway Express (VRE), Faith Communities in Action, Communities of Trust, Diversion First and the Ad Hoc Police Practices Review Commission. For more than three decades she has governed with skill, engaged with her constituents and modeled transparency. 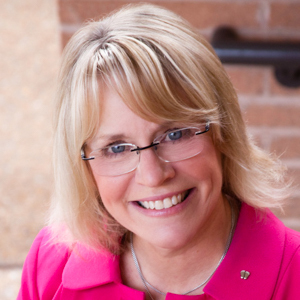 As the Chair of the Board of Directors for the Virginia Chamber of Commerce, Suzy Kelly shares her business acumen and leadership knowledge across the Commonwealth. The business she leads as Chief Executive Officer, Jo-Kell Inc, specializes in Navy shipboard and high-tech industrial automation products, systems and services. Beyond raising the standards of excellence in business, she served on the Chesapeake City Council for eight years and continues to be active in community organizations related to faith, entrepreneurship and leadership. Delegate Lashrecse Aird, of the 63rd District of Virginia, is the youngest woman elected to the House of Delegates. She works in development for Richard Bland College of William and Mary and holds a master’s degree in Public Administration. A tireless community leader, Delegate Aird is actively engaged in numerous civic boards and organizations, as well as leadership positions in the Democratic Party. Councilman Phil Miskovic currently is serving his fourth term on the Town Council of Crewe. His political career has led him to multiple roles in state and local government and he is pursuing a PhD in Public Administration and Public Affairs. Phil has served as chairman of Crewe’s Economic Development Committee and member of the Volunteer Services Committee, and chairman of the Virginia Municipal League’s General Laws Policy Committee. Phil represented Crewe as a member of the Governor’s Rural Jobs Taskforce in 2013. This award honors an individual who has made substantial contributions to building and sustaining the Sorensen Institute. This year’s Founder’s Award will be awarded to Leigh Middleditch, a cofounder and long-time board member of the Sorensen Institute. In the 25 years since Sorensen was founded, he has provided advice and support, raised money, recruited applicants and solved problems for the Sorensen Institute. Mr. Middleditch has had a long and successful career as an attorney at McGuireWoods, served on the Board of Visitors of UVA, served on the board of the Claude Moore Foundation and dozens of other boards and community organizations. His service includes time as an officer in the Navy, from which he retired as a Captain.